What is the advantage to move to cloud? Flexibility : We can restructure of our Environment is needed and you can create the an number of services based on our requirements. Pay As you GO : PAY as you go option is good , Only pay for the services you used in a months or Day/Hrs. basis. Hybrid Capability: We can integrate our on-premises Environment to azure using Site recovery or other Microsoft tool which will help us to extent our data center to azure . Securing you Data : We can use the azure encryption ,Security center, key vault etc. application for securing the data which is resides in azure. Scale on Demand : We can scale up the IAAS PASS SAAS services as per our demands. Example: If customer ask he need 10 servers with in 1 day how we can process or is it possible , Yes it is possible using Windows azure and not even one day we can give it with 1-2 Hours Using the cloud services. If we need to in on-premises it might take 3-4 months to process and configure the server. Integrative Data Solution: We can integrate the Data solution with azure like SQL server, Bigdata, Visual studio Etc. Backup : We can directly take the backup in azure storage accounts with minimal charges and no need to buy additional hardware (backup tape HDD, File server etc.). Disaster Recovery: We can use the Recovery Vault which known as Site recovery vault in azure to do Disaster recovery in azure without any problem. Difference between LRS And ZRS storage Account? Locally redundant storage (LRS).Locally redundant storage maintains three copies of your data. LRS is replicated three times within a single data center in a single region. LRS protects your data from normal hardware failures, but not from the failure of a single data center. Zone-redundant storage (ZRS).Zone-redundant storage maintains three copies of your data. ZRS is replicated three times across two to three facilities, either within a single region or across two regions, providing higher durability than LRS. ZRS ensures that your data is durable within a single region. What is file storage ? File storage offers shared storage for applications using the standard SMB 2.1 or SMB 3.0 protocol. Microsoft Azure virtual machines and cloud services can share file data across application components via mounted shares, and on-premises applications can access file data in a share via the File storage API. Pre-requisite of create and WebApps? Deployments Credentials if you are using the FTP. The Microsoft Azure Content Delivery Network (CDN) offers developers a global solution for delivering high-bandwidth content that is hosted in Azure or any other location. Using the CDN, you can cache publicly available objects loaded from Azure blob storage, a web application, virtual machine, application folder, or other HTTP/HTTPS location. The CDN cache can be held at strategic locations to provide maximum bandwidth for delivering content to users. The CDN is typically used for delivering static content such as images, style sheets, documents, files, client-side scripts, and HTML pages. How you plan Disaster Recovery if I have 10 Vms running on Hyper-V on-Prem and VMware Environment? We will Set up Azure environment for migration. we will Select the protection goal and start protecting servers. we have to setup the target server. How to migrate the on-premises server to azure using site recovery ? Please follow the step by step setup below to migrate on-premises to azure . I always refer below azure documents as they are updated one. How to configure the Backup for Azure Vms and on-Prem Vms? How to migrate the File servers to Azure? Configure shared access signatures(SAS) via the REST API or the client libraries. How many types of storage account azure have? Premier Storage Account: Microsoft Azure Premium Storage delivers high-performance, low-latency disk support for virtual machines (VMs) running I/O-intensive workloads. VM disks that use Premium Storage store data on solid state drives (SSDs). You can migrate your application’s VM disks to Azure Premium Storage to take advantage of the speed and performance of these disks. Azure Storage is the cloud storage solution for modern applications that rely on durability, availability, and scalability to meet the needs of their customers. Difference Between ASR and ARM? How to migrate the On-Prem servers to azure? Pre-requisite to create the VM. Fill out the virtual machine Basics The user name and password entered here is used to log in to the virtual machine. For Resource group, create a new one. A resource group is a logical container into which Azure resources are created and collectively managed. When complete, click OK. Choose a size for the VM and click Select. On the settings blade, select Yes under Use managed disks, keep the defaults for the rest of the settings, and click OK.
On the summary page, click Ok to start the virtual machine deployment. To monitor deployment status, click the virtual machine. The VM can be found on the Azure portal dashboard, or by selecting Virtual Machines from the left-hand menu. When the VM has been created, the status changes from Deploying to Running. How to deploy the Custom image? 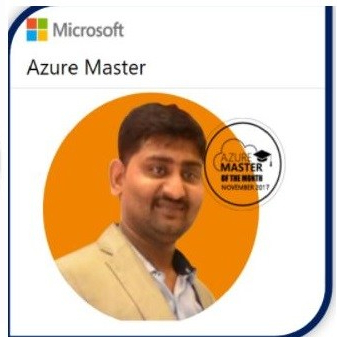 In the Azure portal, Connectto the virtual machine. For instructions, see How to sign in to a virtual machine running Windows Server. In System Cleanup Action, select Enter System Out-of-Box Experience (OOBE)and make sure that Generalize is checked. For more information about using Sysprep, see How to Use Sysprep: An Introduction. Sysprep shuts down the virtual machine, which changes the status of the virtual machine in the Azure classic portal to Stopped. In the Azure portal, click Virtual Machines (classic)and select the virtual machine you want to capture. The VM images (classic) group is listed under Compute when you view More services. Click I’ve run Sysprep on the virtual machine. This checkbox refers to the actions with Sysprep in steps 3-5. An image mustbe generalized by running Sysprep before you add a Windows Server image to your set of custom images. What azure VPN and how many types of Azure VPN we can configure in azure? Point to Site VPN: A Point-to-Site (P2S) configuration lets you create a secure connection from an individual client computer to a virtual network. P2S is a VPN connection over SSTP (Secure Socket Tunneling Protocol). Point-to-Site connections are useful when you want to connect to your VNet from a remote location, such as from home or a conference, or when you only have a few clients that need to connect to a virtual network. P2S connections do not require a VPN device or a public-facing IP address. You establish the VPN connection from the client computer. Vnet to Vnet : Connecting a virtual network to another virtual network (VNet-to-VNet) is similar to connecting a VNet to an on-premises site location. Both connectivity types use a VPN gateway to provide a secure tunnel using IPsec/IKE. You can even combine VNet-to-VNet communication with multi-site connection configurations. This lets you establish network topologies that combine cross-premises connectivity with inter-virtual network connectivity. ExpressRoute is a direct, dedicated connection from your WAN (not over the public Internet) to Microsoft Services, including Azure. Site-to-Site VPN traffic travels encrypted over the public Internet. Being able to configure Site-to-Site VPN and ExpressRoute connections for the same virtual network has several advantages. You can configure a Site-to-Site VPN as a secure failover path for ExpressRoute, or use Site-to-Site VPNs to connect to sites that are not part of your network, but that are connected through ExpressRoute. Notice that this configuration requires two virtual network gateways for the same virtual network, one using the gateway type ‘Vpn’, and the other using the gateway type ‘ExpressRoute’. How you can troubleshoot if VM is not working? We can reset the VM configuration. If user has forget the password of the VM local account how we can change? Is it possible to host the VM in another region and connect to different region? Yes, We need to setup the interconnectivity while creation the V-net to V-net connection between both the region than only we can connect. How to Assign Static IP address in azure Vms? Please follow the below blog to assign the static IP address. Assign Static IP address to azure Vms. What is traffic Manager and how to configure it ? What is Azure DNS Server and how to configure it ? Note: References and answers have been taken from Microsoft Azure Documents. Requesting the viewers to please refer microsoft azure documents or contact me if in depth knowledge is required. Hi Lalit — Thank you very much.. Thank you very much! Appreciate for your effort.